My weight stayed the same at 68kg. Body Fat dropped 0.1% to 17.2%. Body Water rose to 56.9% and Body Muscle rose by 0.1% to 43.1%. I had run out of lemons so I started the day with a glass of fresh grape juice and quinoa, with coconut milk, strawberries and agave nectar. For lunch I had red lentils, with whole grain basmati rice. It was my day off today so I didn’t do any exercise. I wanted to chill out and therefore stayed in and relaxed. 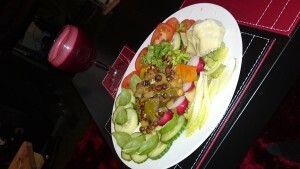 For my evening meal I had kala chana with salad and vegetable juice (cucumber, beetroot, carrot, celery and a clove of garlic). 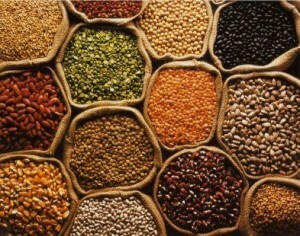 Right at the top of the pulse pyramid for protein is the famous or infamous (depending on your perspective) soybean. I have already written about the potential problems of consuming unfermented soybean products. Up at a very close second is the Lupini bean, or lupin bean or lupins for plural. I hadn’t heard of it until compiling this list. When I looked at images and descriptions of this bean I realised that I had the pleasure of eating this bean outside the shrine of Ruqayya (known in the Indian-Subcontinent as Sakina) the great granddaughter of Muhammad, the Prophet of Islam, in Damascus, Syria. In February earlier this year my dad and I were waiting for my mum to meet us outside the shrine. Outside the main entrance in the bazaar was a street vendor serving these funny yellow looking beans. What we found peculiar was how his mobile vending apparatus doubled-up as a temporary place for customers to eat the produce he was selling. We saw a security official squeezing a lemon wedge onto the bean and then dipping these yellow beans into a brownish powder before squeezing the bean out of its skin into his mouth. It looked very interesting. We had never seen anything like it before. As we love to try and experience the cultures of local people when we travel, we were eager to have a go. We asked the vendor what it was. He said “Tarmuz “or “Tormus” (couldn’t remember what he said until just looking it up online). The powder was brown salt, and it seemed as if the beans were soaked in warm salty/lemony water before being served to us. There was an art to eating it. First you had to squeeze the kernel out of its skin by pinching the skin between your thumb and index finger, rub a wedge of fresh lemon on it then dip it in salt, pop it in your mouth and then discard the skin. It reminds me of the art of drinking Tequila. 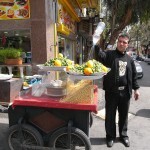 It was a memorable experience and I would definitely recommend trying it if you happen to be in the Middle East and come across one of these street lupin vendors. 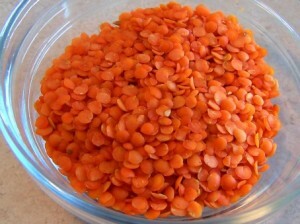 The highest ranking legume in terms of protein content that is readily available without any controversy in regards to its safety is the red lentil. I shall therefore make a conscious effort to include more red lentils in my diet whilst on this detox to provide me with a vegetarian source of protein. hey how about when we cook them?? do protein remain same? The information is very interesting. It made me understand something about protein, and it is that I never knew before. I’ve been learning from your blog. Informative post.Interesting I found this blog by accident. Really glad I did though, I’ll be back from now on. The values for Chickpea/Chana seem to be wrong. 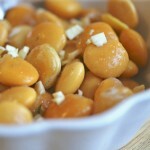 Chickpea are super high in protein. Close to or higher than peanuts probably. Kala chana and Bengal gram are the same, but you have listed different protein make ups for the two, in different places.